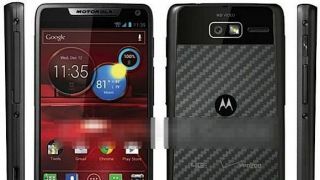 During today's unveiling of Motorola's new line of smartphones in the new Motorola Droid Razr family, Motorola Mobility CEO, Dennis Woodside, mentioned that not all Motorola devices would get Android's latest OS, Jelly Bean. Instead, users of Jelly Bean-less Motorola phones will get $100. It seems that Motorola is hoping that the $100 will burn a whole in their customers' pockets, and will be put towards the purchase of one of their new smartphones. Motorola decided against rolling out Android's latest OS to all devices because Jelly Bean allegedly slows down the UI for some phones. TechRadar will continue to report on which Motorola devices will get the Jelly Bean update as more information becomes available.